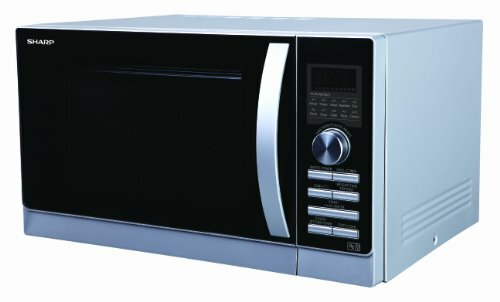 The Sharp R842SLM is a 25 litre mid sized combination microwave, with 900w of power and finished in a smart silver exterior. Works very well, looks smart and should prove to be reliable. None to mention. Finished in a smart contemporary silver and black colour scheme, the Sharp R842SLM provides a medium 25 litre capacity, together with 900w of power when in microwave mode. It also features a unique dual grill facility, with both top and bottom grills enabling you to brown or crisp two dishes at the same time. This has the benefit of both saving time, and also gives you the option of serving two freshly grilled dishes simultaneously when preparing food for two people. The top grill is substantially more powerful than the lower grill, providing 1200w to the lower grill's 650w output. The R842SLM convection oven provides a substantial 2300w power output, and the 30.1cm turntable will cater for the majority of dishes and containers. 10 different cooking programmes are featured, complete with 5 different power levels, which was ample for our needs. The overall capacity of 25 litres is large enough for the majority of users, whilst the exterior of the R842SLM microwave measures 51.3cm by 30.6cm by 43.0cm. The Sharp R842SLM's controls are well labelled, and easy to operate - this is a refreshing change from many other silver microwave ovens on the market which only use symbols and no text to label each button. 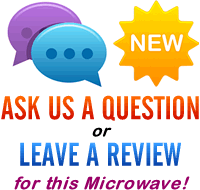 Overall, this Sharp microwave offers very good value, and feels like it's built to last. It performed very well, and we wouldn't hesitate to recommend it. Sharp have a reputation for creating high performing and reliable electrical goods, and the R842SLM continues this trend, being both versatile as well as hard wearing. All in all the Sharp R842SLM offers excellent value, and performs really well - easy to use, and good overall build quality. 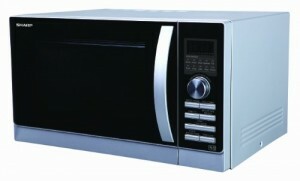 If you're after a bargain combi microwave, then the R842SLM microwave is well worth considering.